We begin the Financial Literacy Education or FE series from today. Based on the latest findings from our on-going studies in the field of financial literacy and its impact on the financial behaviour of people. The Reserve Bank of India (RBI) initiated the ‘National Pilot Project for Financial Inclusion Plan’ (NPPFI) in 2005 and recommended that 25% of all the new bank accounts must be opened in currently unbanked areas in a year, and provide financial services and products to at least 50% of the financially excluded households. 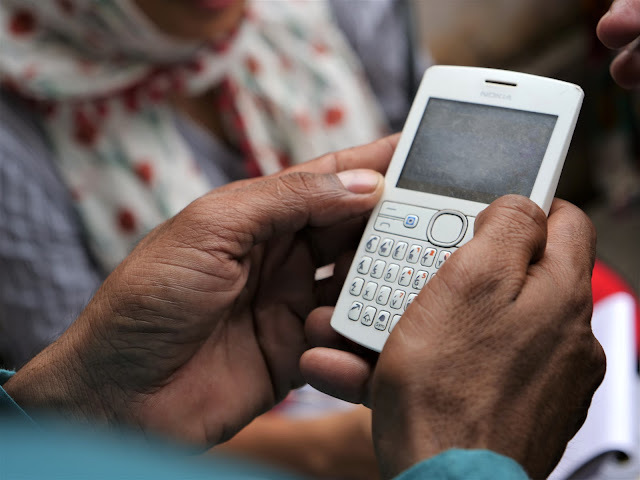 The RBI invited private banks to work with Non-Governmental Institutions (NGOs) and SHGs, and also public banks, to provide at least No-Frills Accounts (NFAs), and use solutions like the Banking Correspondents (BC) and mobile banking to increase their coverage. Yet, reaching these customers has been difficult for banks – customers in unbanked areas are hard to reach physically, have limited collateral or savings to open bank accounts, or have limited awareness and knowledge about the banking system. 1. Costs - Classroom sessions require a trained FE trainer, who stands up in front of the class and uses methods such as flipcharts, multi-media or plays to talk about important topics such as Savings, Expenses, Budgeting, and Financial Institutions etc. These sessions usually cost the organization delivering the training a significant amount of money. Organizations that are in the business of providing financial services often do not want to spend additional money on FE, or often do not have the technical and human resource capacity to provide FE. a. Paid FE - Due to cost constraints, some organizations offer paid FE. This may however be cost prohibitive for some clients. In addition, given the low awareness about the benefits of financial management, making FE a paid service might further reduce the take-up of an FE program. b. Agents as FE trainer - Some organizations have started training their financial agents or loan officers to provide clients basic FE training because they understand that a financially literate client is more aware about his or her financial behavior (example FINO - http://fino.co.in/Financial-Literacy-Program). However, the already overburdened agents and loan officers might find it hard to balance time spent on product sales vs. financial literacy. Therefore they may not be the best candidates to provide FE. Should such a program be implemented, organizations must device an incentive structure for agents and loan officers so that they can be motivated to provide high-quality FE to clients. c. Alternative strategies – Though traditional classroom FE is an expensive affair, measures that can be undertaken to reduce costs. For example, some organizations enroll a larger group of clients for FE, though in CMF’s experience classrooms with over 20 clients are not as effective as those under 20 clients. Some organizations offer an intense FE training for 2-3 days, though in CMF’s experience 4-5 days seems more comprehensive. Organizations can consider providing training on a daily basis, or on a weekly basis, though in CMF’s experience weekly trainings sessions seem to work better with information retention compared to daily sessions. d. Targeted messages – Instead of long and comprehensive sessions, CMF has experienced that simpler and focused FE trainings are more useful for information retention. There are critical messages that clients seem to retain – such as importance of compound interest, specific ways to cut down on expenses and so on. Messages must also be modified based on client demographics (example urban vs. rural clients) because one size does not fit all. Institutions must spend time understanding the needs of their clients and provide an FE package tailored to their needs. 2. Limited evidence about impact of FE - There have been limited evaluations about the impact of FE on financial wellbeing of clients. Literature indicates while there is an increase in financial knowledge and awareness, the effect on client’s savings behavior is unclear. There is now an effort in the academic community to better understand the impact of FE and determine what facets of FE work. CMF has been a part of major evaluations in Uttar Pradesh, with FINO and Sonata, and in Bihar, with EKO to better understand the impact of FE. However, there is limited monitoring and evaluation done by MFIs/NBFCs/NGOs of their own FE programs. It is often unclear how accurate the reach and impact stated by these partners is. 3. No benchmark on FE – In a study conducted by CMF to assess FE provided by 20 institutions, we found that while most organizations provided a varying degree of information about savings, expenses, loans, budgeting, and banking institution, only some provided information about complex products such as insurance, and pensions, and about how to select products based on client’s needs. In addition, it is often unclear whether the FE content varies by client’s financial needs and demographic makeup. While most institutions recognize these issues, with no agreement on what should be included in FE based on evidence, limited capacity and limited resources, each institution provides a different FE training. 4. Advertising or enthusiasm Effect – Typically when an FE is conducted, clients get to know more about the savings products being offered by a partner organization such as EKO, FINO, or other commercial and government banks. However post-FE it is hard to tell if an increase in savings is due to an increased knowledge about the banking institutions and their products and services (advertising effect), or due to the topics discussed during FE. Presently, there are limited studies addressing this gap. Despite these challenges, independent organizations, international organizations and NGOs/MFIs/NBFCs realize the importance of FE in achieving the financial inclusion objectives. Please read Part II of this blog to find out more about CMF’s endeavors in developing a comprehensive yet cost-effect FE program.